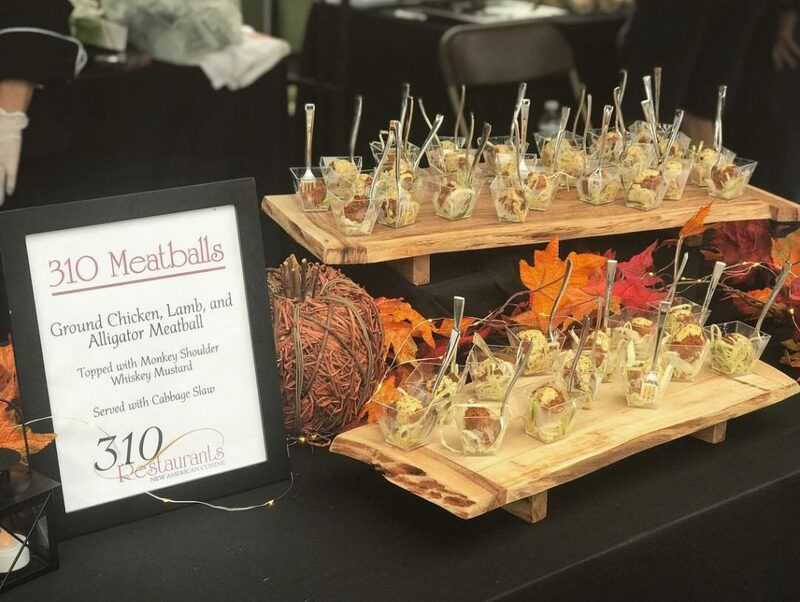 We had a wonderful time at Winter Park’s Wine & Dine last night! 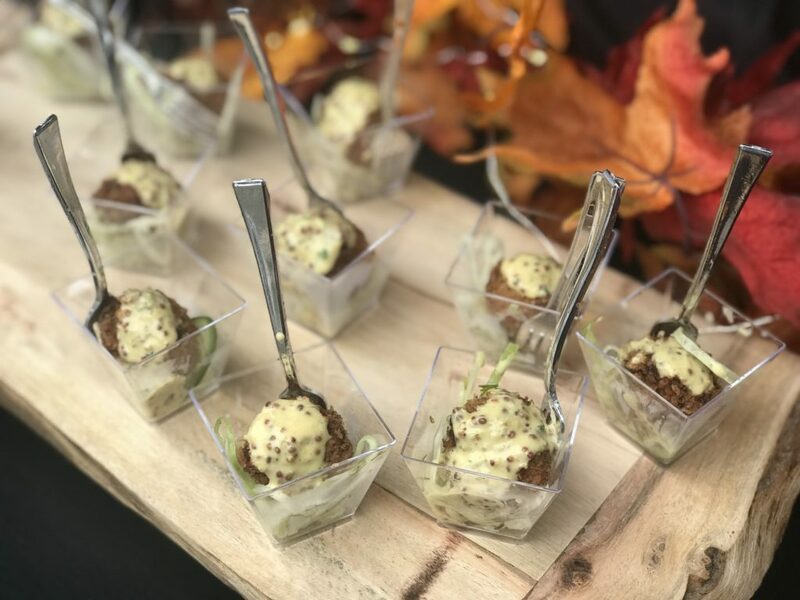 For our food option we served a special creation by Chef Tony Krueger, a 310 Meatball – A combination of ground lamb, chicken, and alligator, topped with a Monkey Shoulder Whiskey mustard sauce, set on top of a bed of cabbage slaw. We were told we had one of the most exciting menu options and had a line of customers at time! For our drink selection we served a “Pink Tail” our National Breast Cancer Awareness Month Drink: A refreshing blend of Hendrick’s Gin, Champagne, and Pink Lemonade. Many attendees told us we had the best drink there and for such a hot day, it was a cold drink that appealed to the masses. We still had a line for this drink at 9PM! Luckily we will be serving this drink at our restaurants all month long! We had a great time networking and introducing people to our brand. We can’t wait for next year! Just make sure to get your tickets early (the event sold out early)!